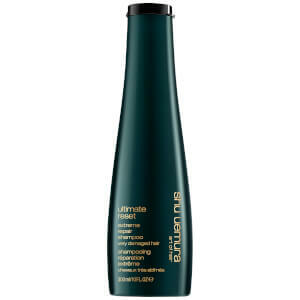 Our Shubest presents the best of shu uemura art of hair in 5 iconic products. Our Cleansing Oil contains Onsen inspired ferment originating from Japan, combined with our unique “oil removes oil” philosophy, for deep yet gentle cleansing of the hair and scalp. For all hair types. Essence Absolue is concentrated with Camellia Oil traditionally used by geishas to enhance the beauty of their hair. Japanese Camellia Oil provides the hair with nutrition and restores the life, lustre and suppleness of the hair. 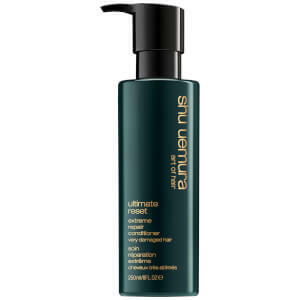 Urban Moisture contains Moringa Extract from India to remove pollutant build up caused by urban aggressions and Red Algae extract to nourish hair and help fight free radicals due to its anti-oxidant power. Muroto Volume is enriched with Himalayan Crystal Minerals, from Punjab, Northern India for volume & lift with its fortifying properties, whilst also conditioning the hair. Silk Bloom uses Argan Oil from Morocco combined with Ceramide and Vitamin E to restore the structure of damaged hair and fortify the fiber, building strength, body and vitality. Shusu Sleek contains Black Cumin Oil from Egypt with anti-oxidant Nigellone for deep nourishment. Omega 3,6,9 & essential fatty acids smooth and control hair density. 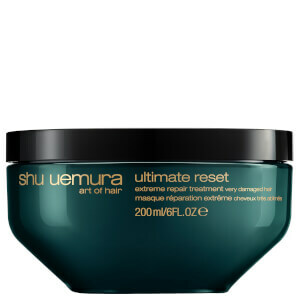 Ultimate Reset involves Rice Extract from Hyogo, Japan that protects & moisturizes very damaged hair, leaving it feeling nourished yet light and strong, and easy to style. Color Lustre uses natural Musk Rose Oil from Chile to illuminate hair & Goji Berry extract for weightless conditioning and protection against colour-fade. Refining lipids nourish & protect against aggressors. Introducing SHU UEMURA ART OF HAIR. Artistic touch, tradition and harmony combine to create a range of products with precious natural ingredients. Together they achieve the ultimate artistic expression.